A space to work, feel inspired, and entertain. 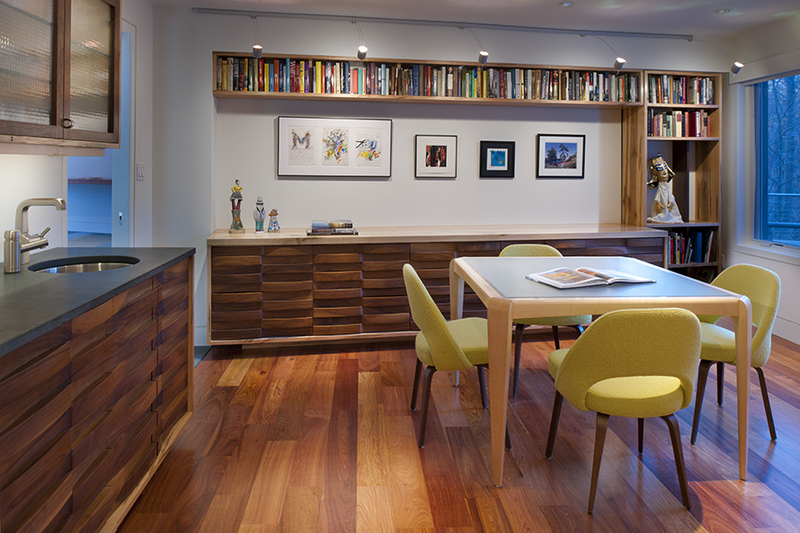 Our photographer client needed a space within her home that could be a gallery space for her work, a storage area for her archives, and an entertaining area for guests. 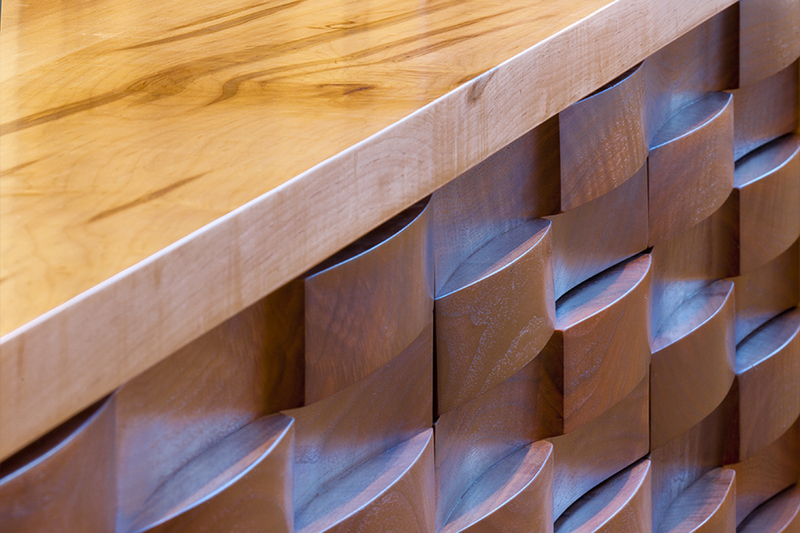 ”The built-in furniture pieces are solid wood construction: milled, laminated, hand carved on band saws and hand sanded. 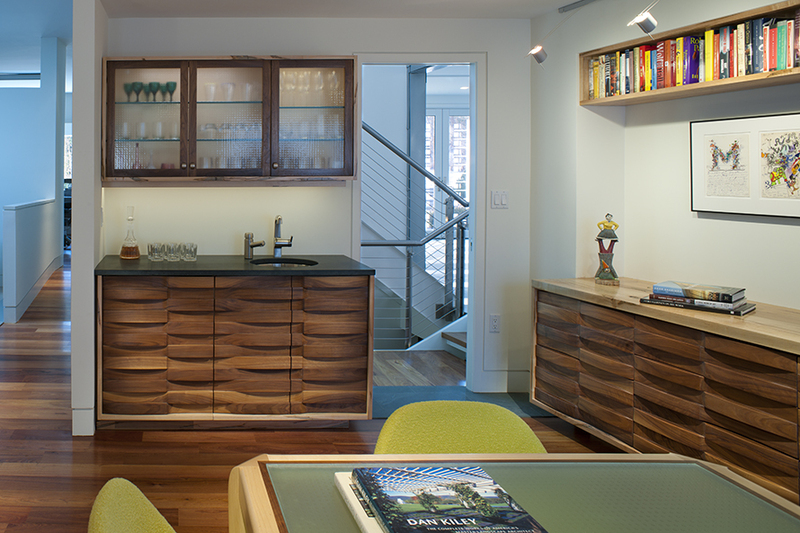 The walnut drawer fronts conceal five different drawer types, from a bar refrigerator and full height cabinet doors to sixteen inch drawers down to one-inch drawers for displaying individual photos. The cabinet front pulls are milled into the woven walnut blocks. 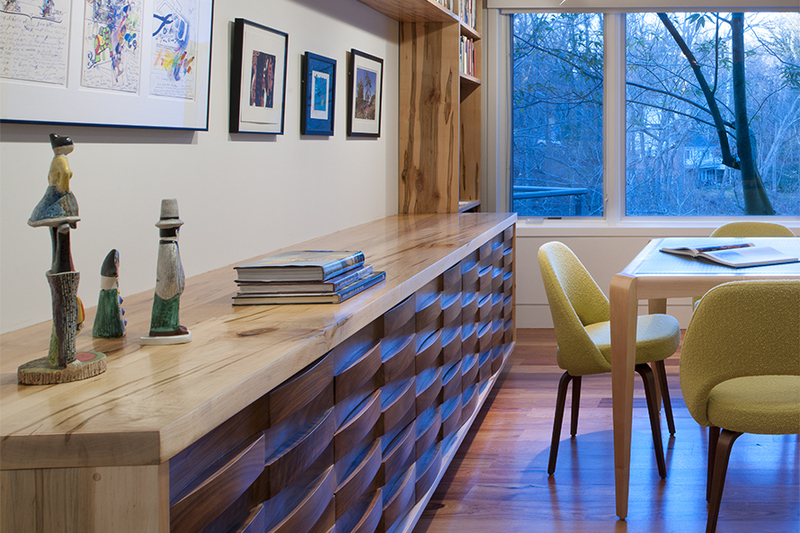 Work executed in collaboration with Caleb Woodard Furniture. ”The room can be closed off from the public areas of the house to become a private reading room or card room. A hidden doorway in the custom designed millwork leads to the living room and a deck overlooking a national park landscape.